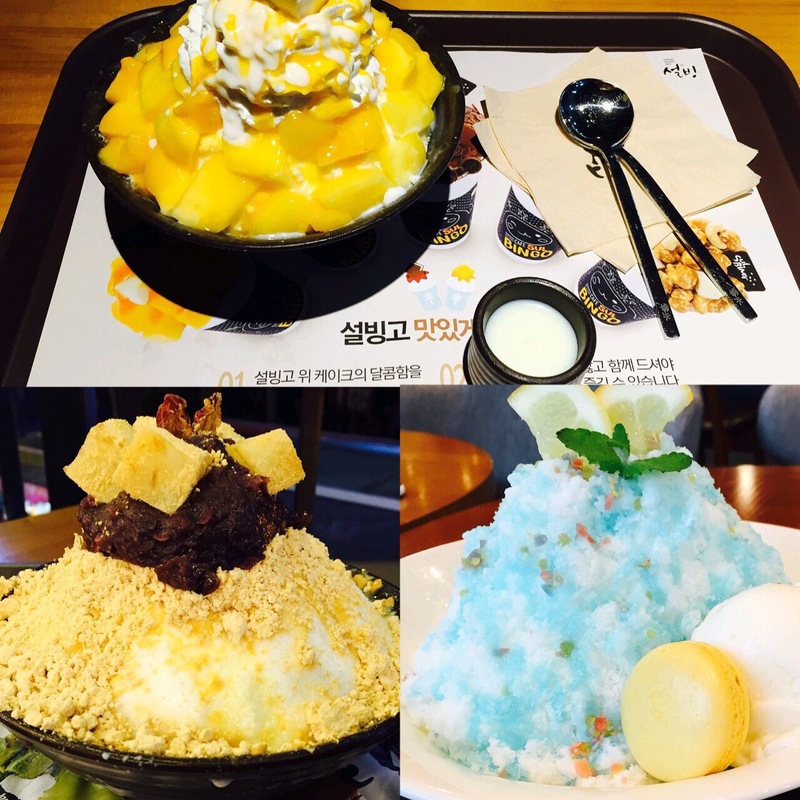 Confessions of a Bingsoo (Sulbing) addict…. 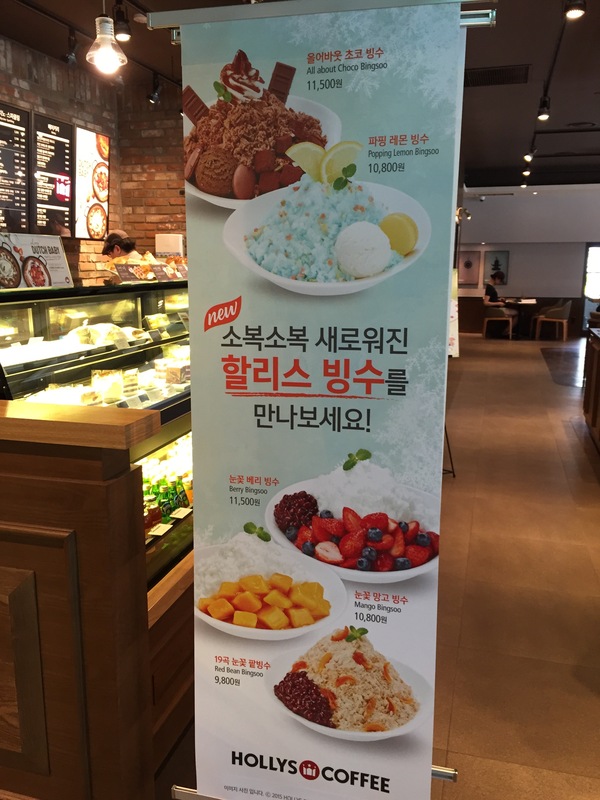 Bingsoo (Sulbing) is shaved ice dessert with different toppings. These toppings consist of fruit, chocolate, red bean, condensed milk, syrups, and basically anything else your little sweet tooth desires. 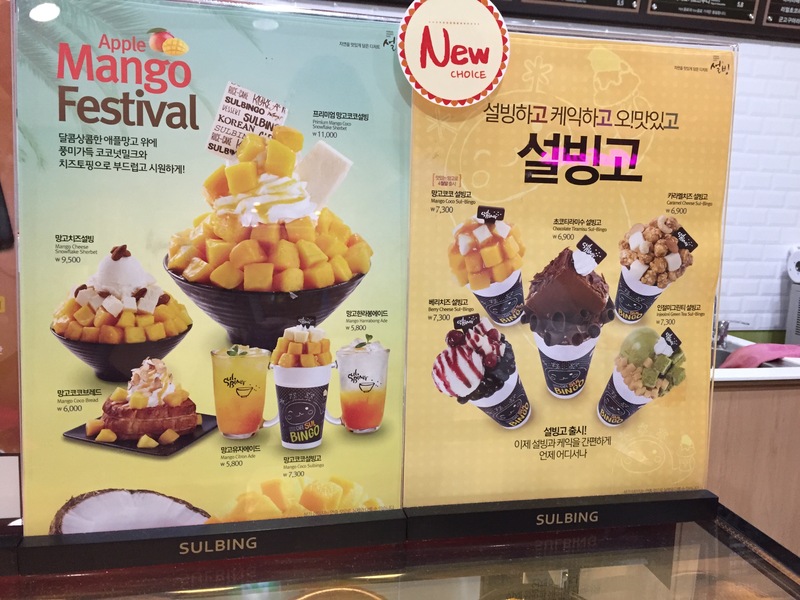 My favorites are definitely mango and red bean. 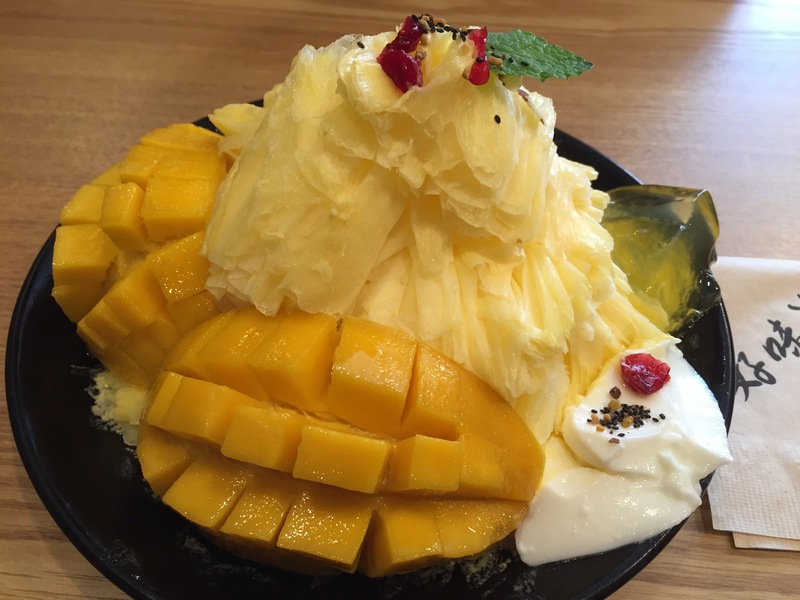 I had my first shaved ice dessert many years ago in Taiwan, but it still is one of my favorite desserts! It’s a shame it isn’t more common in the US. 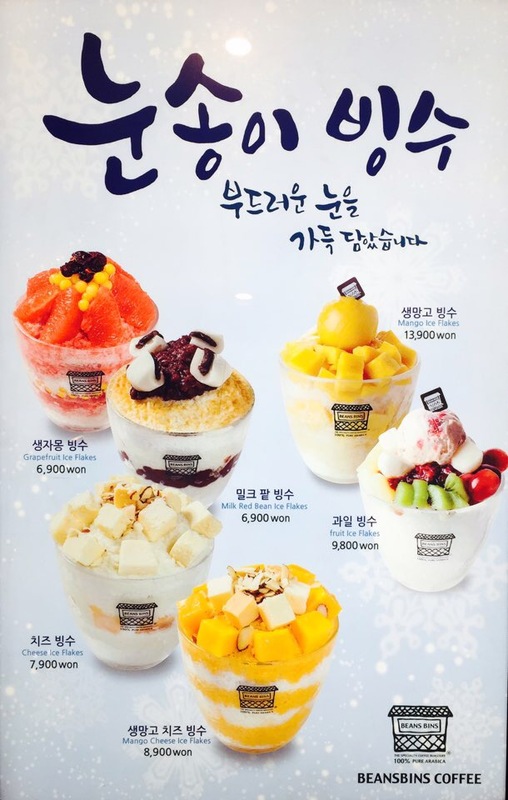 I’m pretty excited that the shaved ice phenomena is so popular here in Korea, there is one on every corner basically, which is much too much temptation! Since we have been here I have probably tried 6 different bingsoo cafes (and have gone to some twice). So far my favorite is Korean Dessert Cafe. They have them EVERYWHERE and the cafes can be small or HUGE. My least favorite so far is Holly’s Coffee, they should definitely stick to the coffee. 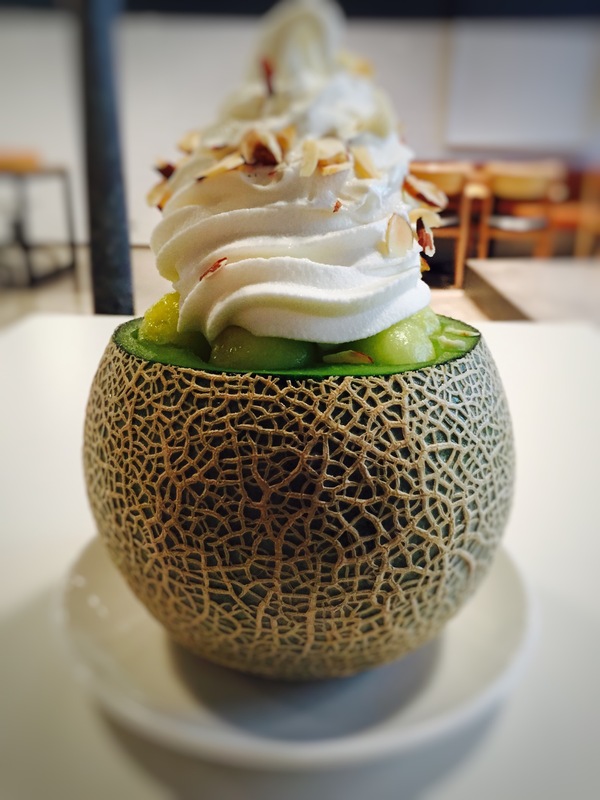 Cafes get really creative and pricey with this though, the other day we had a Melon Bingsoo served in a Cantaloupe with ice cream! At a low low price of 19,000 won. Bingsoo is such a delicious treat, but let’s just say that it’s a good thing that we are averaging more than 15,000 steps a day, otherwise this obsession could turn dangerous! Definitely don’t forget to give it a try when you visit!